Stephanie is certified to teach the OneMind Dogs Handling Techniques 1 seminars and classes. Handling Techniques 1 can be offered as a two-day seminar that covers 8 popular OneMind Dogs handling techniques. Students will learn all about each technique, and will get to practice each technique with their dogs in short sequences and as part of a longer course. Handling Techniques 1 can also be offered as a 12 session weekly class. Each class is 90 minutes long and focuses on one handling technique, with four of the classes focused on course work using the handling techniques learned in previous weeks. Click here to visit Stephanie's OneMind Dogs Instructor page. Click here to learn more about OneMind Dogs. Stephanie is teaching this team to perform a Rear Cross. Stephanie Williams is a certified OneMind Dogs instructor. In September of 2017, Stephanie was trained by leading OneMind Dogs coaches Jenni Leino, Mikko Aaltonen, and Mari Kaplas to teach the content of the handling techniques 1 seminar. Attendees of a handling techniques 1 seminar will learn all about 8 OneMind Dogs handling techniques and will get to practice them with their dogs on a course designed by OneMind Dogs coaches. This is a two day seminar that includes 8 working spots per day plus unlimited auditing spots. Handling Techniques 1 can also be offered as a 12 session weekly class. Each class is 90 minutes long and focuses on one handling technique practiced on short sequences. 4 of the classes throughout the session focus on using the techniques learned in previous weeks in full course work as well. 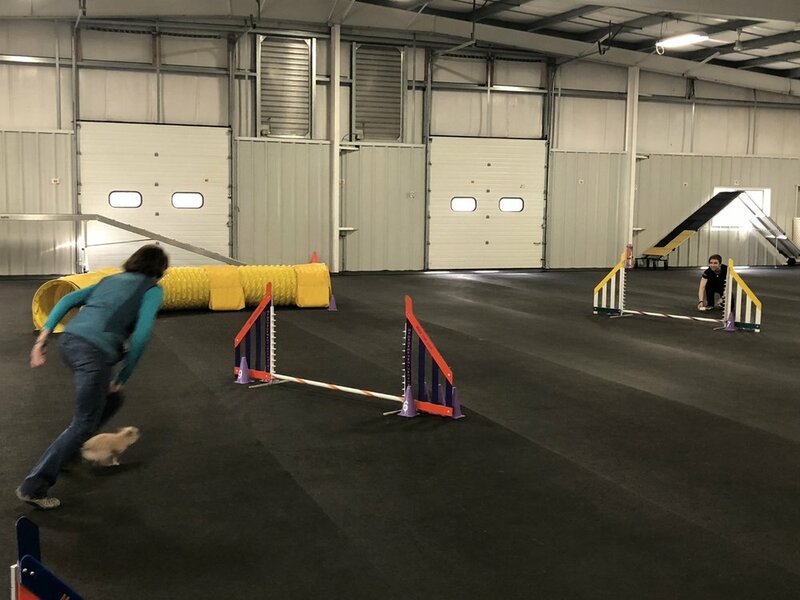 Bring your agility students the life changing opportunity to learn 8 OneMind Dogs techniques from certified instructor Stephanie Williams by contacting us today! Stephanie is teaching this team to perform a Whiskey Cross.